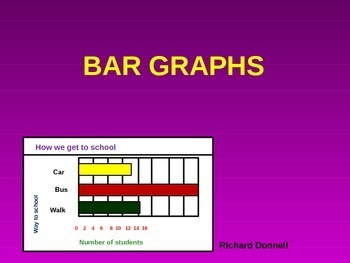 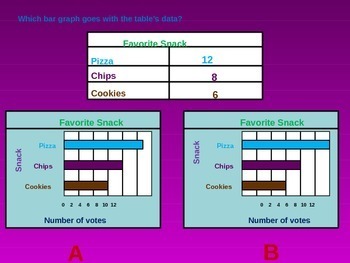 Identifies the parts of a bar graph. 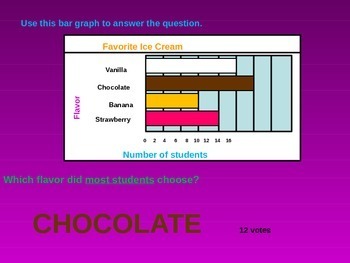 Students observe and answer problems from vertical and horizontal bar graphs. 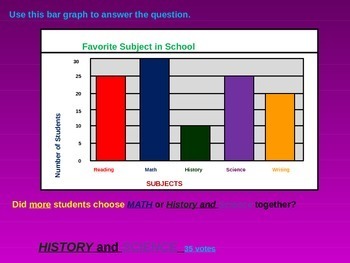 Also look at data from a table and choose the bar graph that represents that data.